Chances are, if you do handyman work, or even have your own construction company, than you are well acquainted with the pain of lugging a generator around to places where you don’t have power. Thankfully for us, with improvements in technology, generators will soon become obsolete. With that in mind, we are proud to introduce a forerunner on the cutting edge of portable electric power. 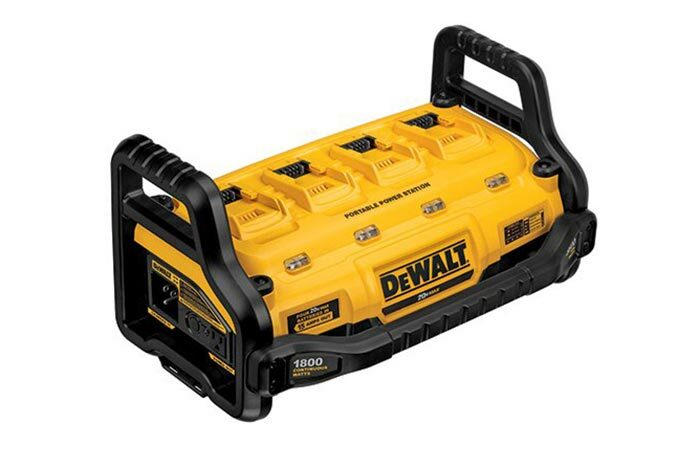 We proudly present the Dewalt Portable Power Station. 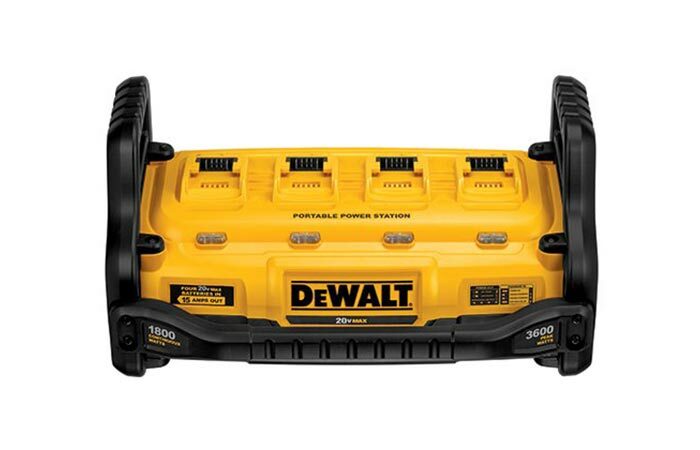 Designed for ease of use and versatility, the Dewalt Power Station is a must have for anybody that needs juice when there is no power. The Power Station can pump out 1800 watts of juice that is delivered by 4 20V batteries. It’s also flexible; it gives you the power of corded work, and the freedom of cordless as well. Essentially, the Power Station was designed to be a 4-port parallel charger. This device also pumps out an impressive 1800 watts that are delivered by four 20V batteries, with an output of 15 amps. However, the batteries are sold separately. Each battery has its own charge indication lights. 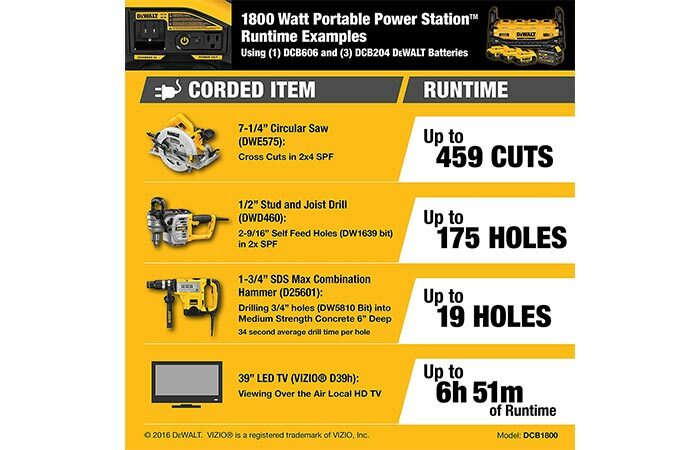 Furthermore, the Dewalt Power Station is rated for a max AC output of 3600 watts, but rated at 1800 watts. It also has a maximum current output of 30 amps, with a rating of 15 amps. It also gives you indicator lights for inverter, charger, operation and fault, and low battery. For such a compact device, the Power Station sure does deliver on the money.